When facing a financial crisis such as bankruptcy or foreclosure, people in Lisle, Illinois, can turn to the law firm of Richard L. Hirsh, P.C., for the advice they need. The firm’s founder has spent decades working with businesses, creditors, trustees, individuals and investors to establish the best course of action based on their unique circumstances. 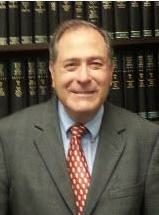 Mr. Hirsh has helped hundreds of people find an effective solution and is prepared to go to court when necessary. The team at this law firm understands how overwhelming and even confusing fiscal matters can be. Mr. Hirsh believes in responding to his clients’ concerns as soon as possible, providing peace of mind throughout the process. He advises people of the soundest options available, whether someone is filing for Chapter 7 relief or is a nondebtor spouse wishing to protect his or her property. In each case, Mr. Hirsh carefully explains how the state and federal laws apply and what the client can expect moving forward. Experienced in litigation and appellate matters, Mr. Hirsh has helped distressed companies reorganize, defended creditors’ rights and enabled people to keep their homes. The law firm of Richard L. Hirsh, P.C., has had success in Will, Cook and DuPage counties thanks to Mr. Hirsh’s philosophy of providing people with personal attention and respectful representation. The firm is a debt relief agency. It helps people file for bankruptcy relief under the U.S. Bankruptcy Code.